While it is useful (almost necessary), the telephone is the most serious threat to your privacy in existence today. Your phone line can be wiretapped or bugged and the telephone instrument itself can be quickly and easily converted to a very efficient room monitor. Not too much can be done about down-line taps. However, using the TAP TRAP,you can check your phone line for on-premises series and parallel bugs and wiretaps. 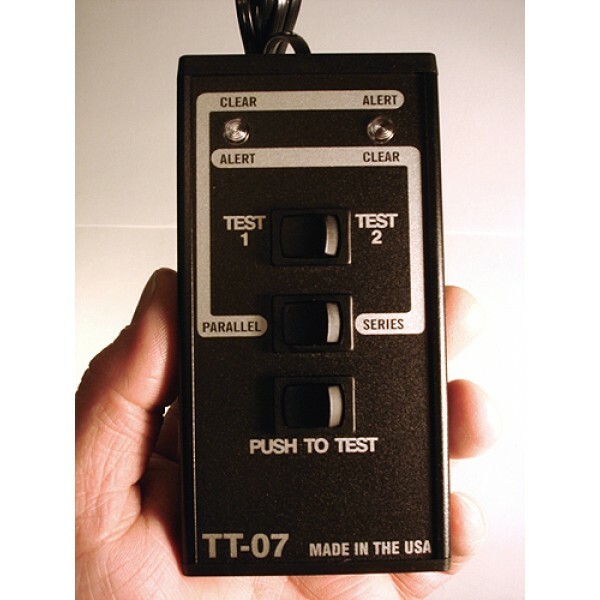 You can also check your telephone for the most common types of hookswitch bypasses. 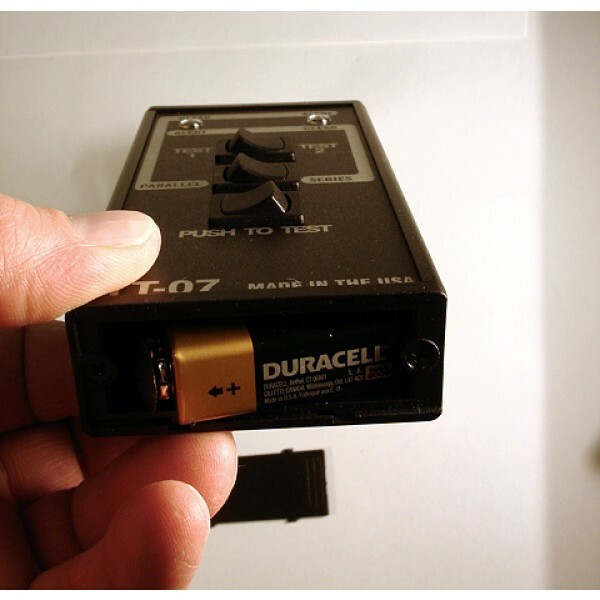 A hookswitch bypass is a modification to the telephone instrument so that the carbon microphone (transmitter) or dynamic earphone (receiver) will pick up room sounds and pass them down the phone line to a listening post even with the phone hung up. This effectively turns the telephone into a room monitor. 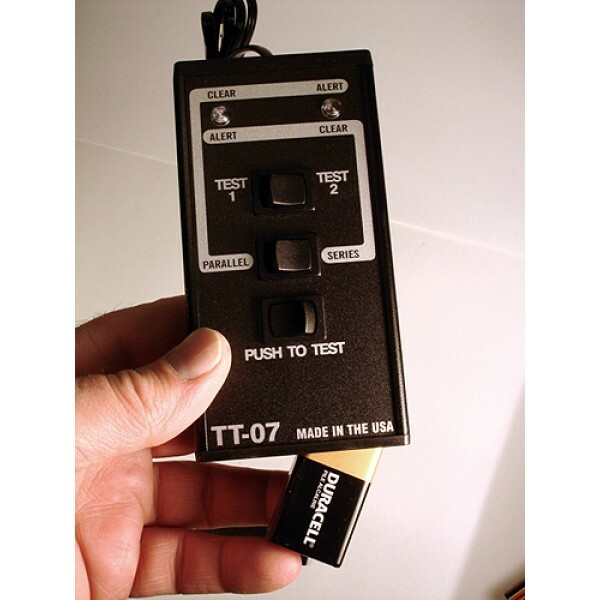 The TAP TRAP detects series devices with a resistance of 61 ohms or more. (Most series taps have a resistance of over 100 ohms.) It also detects parallel devices with a resistance of 65 megohms or less. (Most parallel taps are under 30 meg-ohms.) It can also detect certain capacitively coupled taps. It weighs 7 oz. and is furnished in a high impact case that measures 4.25" x 3.25" x 1.5". The unit comes complete with all necessary plugs, cords, adapters, battery and an informative, illustrated instruction manual. Please note that neither the TT-46 or TT-07 are "magic boxes" that are connected permanently to a working phone line. 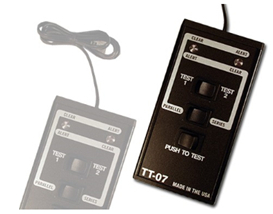 They are both test sets that let you check your on-premises wiring and telephones for eavesdropping devices or taps. In order to do this, you must be able to disconnect your inside wiring from the telephone line coming into your home or business. This is done at the interface between the telephone line and inside wiring; usually just by unplugging a cable at the interface box mounted on the side of the building. There is nothing difficult about this, but, of course, you must have access to this interface box.